This property is 4 minutes walk from the beach. 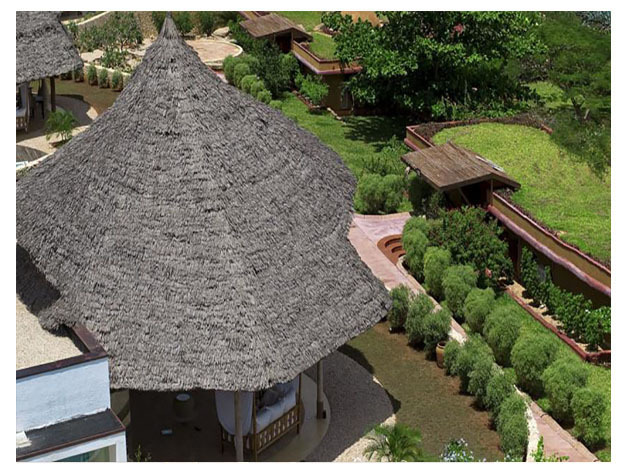 Diamonds Star of the East is a private sanctuary located along Nungwi Beach on the North Western tip of Zanzibar. It boasts a private beach, an open-air gym and a spa. A butler service is available. Each villa features a private plunge pool and a furnished terrace offering views of the Indian Ocean. It comes equipped with a flat-screen satellite TV, a laptop and a private bar. Diamond Star offers guests 24-hour in-room dining, and the Ocean Blue Restaurant serves à la carte dishes. The Tiara Lounge bar serves snacks and cocktails. A wide variety of activities such as deep-sea fishing, sailing and wind surfing can be arranged on site. Guests can relax around the swimming pool or partake in water gym or beach volleyball. Free Wi-Fi is available in all of the rooms and in the public areas. The Zanzibar International Airport is 50 km away and Stonetown is a 55-minute drive from the property.